Everything physicians need to efficiently represent the patient anatomy and easily compare and approve plans. RayStation provides you with fast and user-friendly tools to efficiently and accurately contour the patient in the treatment planning process. It includes a comprehensive toolset ranging from manual to high-end semi-automatic and fully automatic contouring tools. Discover some of our customers’ favorites below. The image-guided smart brush and smart interpolation facilitate contouring by snapping to image features and can help delineate organs and targets using only a few contours. See video. With ROI algebra, you can create derived ROIs using Boolean expressions and margins. A derived ROI remembers its expression and will automatically detect when it needs to be updated. Derived ROIs also goes into structure templates, saving you the time of specifying complex expressions. See video. Rigid and deformable registration of multi-modality imaging CT, CBCT, PET or MR is fully supported and integrated with the adaptive radiation therapy functionality. It can be used for showing fused images as a reference while contouring, and for mapping regions or points of interest between image sets. MBS delineates organs automatically using statistical shape models for different body sites. The adaptation to new image data utilizes a combination of greyscale gradients and shape statistics. Physicians can easily evaluate, compare and approve treatment plans. The module is a comprehensive toolbox for evaluation and comparison of treatment plans and plan approval. From a number of predefined layouts, dose distribution, dose statistics, clinical goals and dose volume histograms of up to three different plans can be simultaneously compared. Dose can directly be computed on additional image sets and summed up using the deformable registration provided in rayDeformable. For evaluation of robustness dose can also be computed for a density perturbation or isocenter shift. The use of radiobiological response models brings the planning process closer to the intent to create a plan with the highest possible probability of curing the patient while keeping the risk of complications to the surrounding healthy tissue as low as possible. The philosophy is to use biological models to reveal effects that are difficult to understand from the dose distribution alone. There are tools for both biological optimization and evaluation. Optimization tools enable direct optimization on the biological indices in combination with physical dose indices. 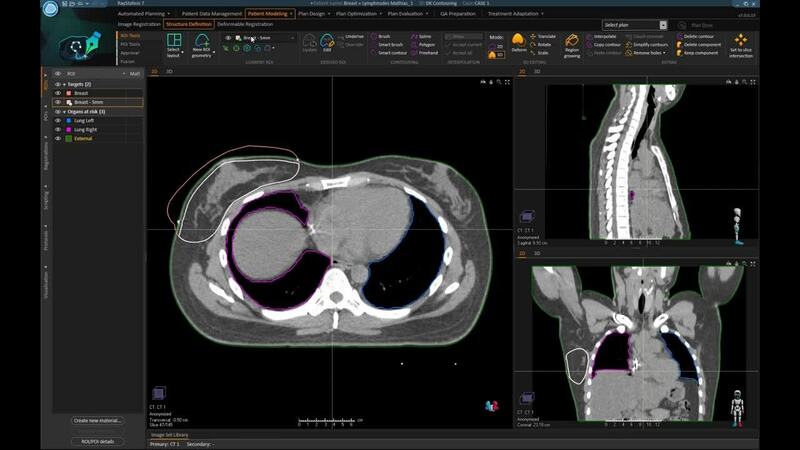 This makes it possible to configure optimization problems that more closely describe the clinical intentions, such as minimizing normal tissue complication probabilities subject to a guaranteed homogenous target dose within a specified standard deviation. 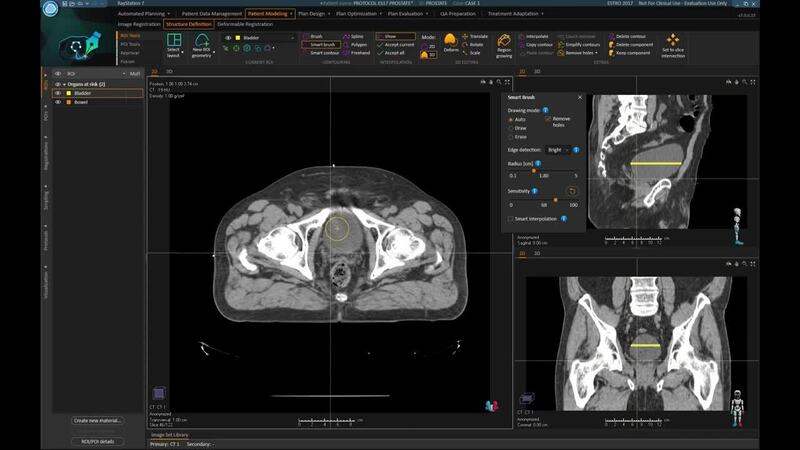 Evaluation tools include Tumor Control Probability (TCP) and Normal Tissue Complication Probability (NTCP) models which can be combined with tissue repair and tumor growth models. The biological tools are integrated into the plan evaluation module. The physical properties of the existing plan can thus be easily investigated if unexpected differences in the biological response are observed between different plans. In addition, there is a biological evaluation module dedicated to the exploration of the biological effects of altering the fractionation schedule of a single treatment plan. For evaluation of robustness, dose can be computed for a density perturbation or isocenter shift. 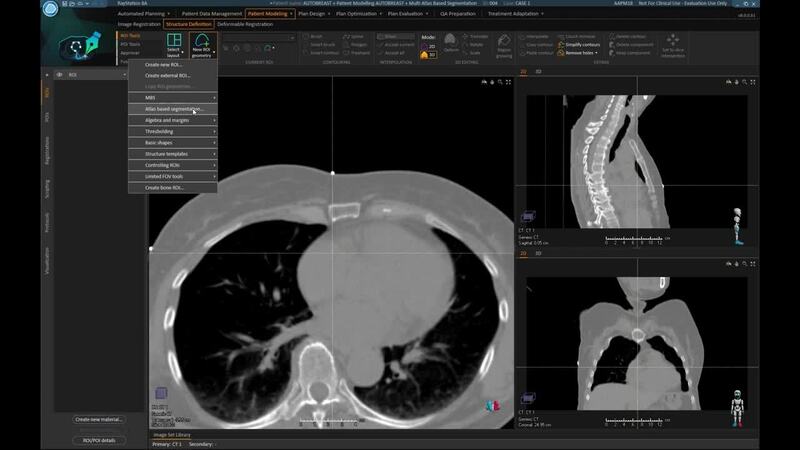 In the dedicated robust evaluation module, you can easily define groups of scenarios based on uncertainties in patient setup and density interpretation of CT and evaluate them simultaneously.